Salyan city (which is called a “gates to the south”) is located at the distance of 126 km from the capital. 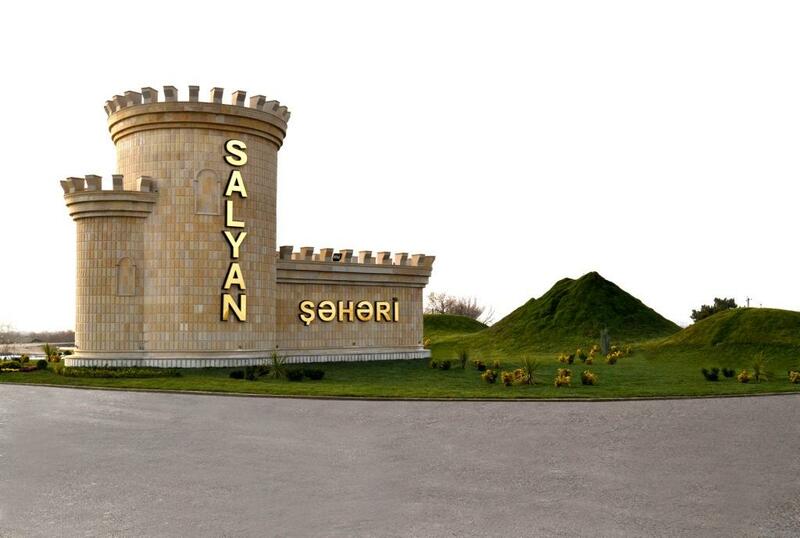 This is the first stop on the way Baku – Astara. This is the only district you can walk through from entering point to exit within 1 hour 45 minutes. The district is washed by Caspian Sea at the east. Kura river flows through the territory of the district. There is a place called “Jeyran Jennety” not far from Salyan. But the main attraction of the district is the National park Shirvan created in 2003 covering an area of 55 hectares for the purpose of preservation of the local flora and fauna and in the first place Persian gazelles included into Red Book. The park is providing with excursions for tourists. There are guest houses for the visitors there. Some explorers place their own tents. Persian gazelles are already used to employees of the reserve but at the sight of strangers they are running away, so it is not easy to see them from the short distance. There are 34 species of birds besides Persian gazelles in the reserve and 14 of them are included into Red Book. The park is quite large and covers a territory of few districts, so it is impossible to walk it round and servants of the park provide visitors with horses and cars. There are some small lakes densely overgrew by cane and look more like swamps at the territory of the reserve. This is a dwelling place of birds and most of them are flamingos. All this beauty is deserved watching. Salyans live at the banks of indomitable Kura for centuries. Probably this is the only place in republic where ferries are used for crossing from one bank to the other. They are working on schedule like fixed-run taxi. In 5 km from Salyan there is a mud volcano Babazenin. Healing properties of its mud are know by many people. Architectural monuments of the disgtrict: Gumlavar bridge (XII c.), complex of constructions Khanagah in the village of Gubali Baloglan (XIX c.). Caravanserai “Tendirkhana” in Salyan city was built nowadays in eastern style and is well equipped with modern facilities. Visitors can familiarize with ancient Azerbaijani dishes recipes of which are carefully kept by generations.